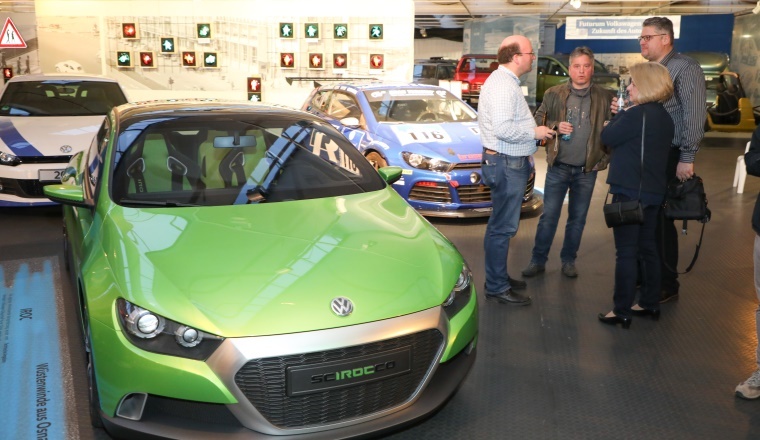 What is new at the Volkswagen AutoMuseum? 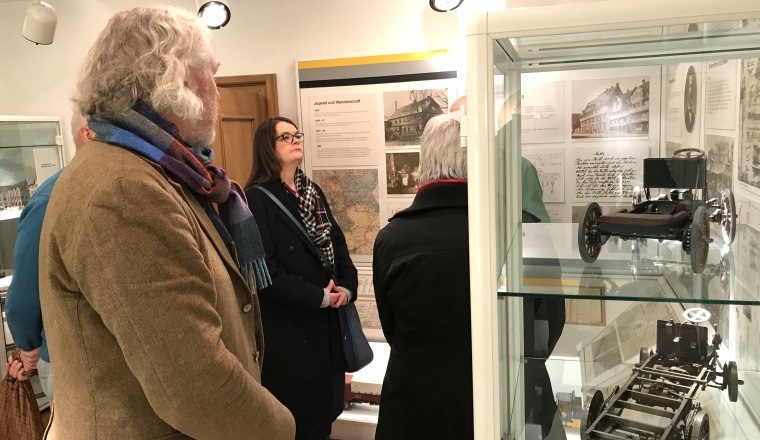 New exhibits, the latest developments, celebrity visitors – we keep you up to date. Biagino Passo in the AutoMuseum Volkswagen. 1 February 2019. 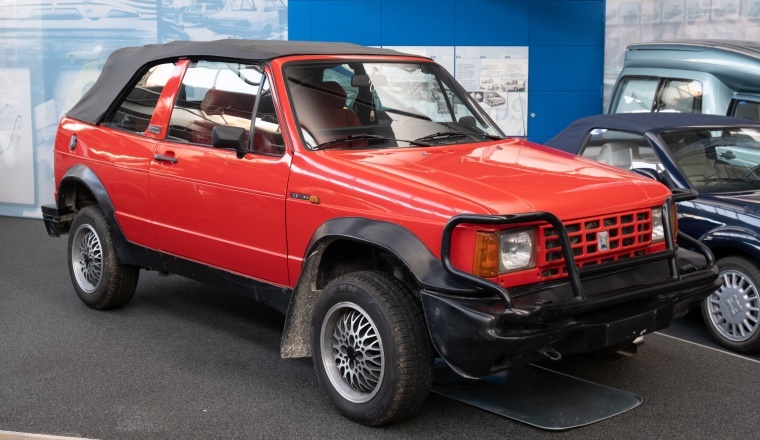 One of the most mysterious cars in Volkswagen’s history is now on display in the AutoMuseum – the Biagini Passo! 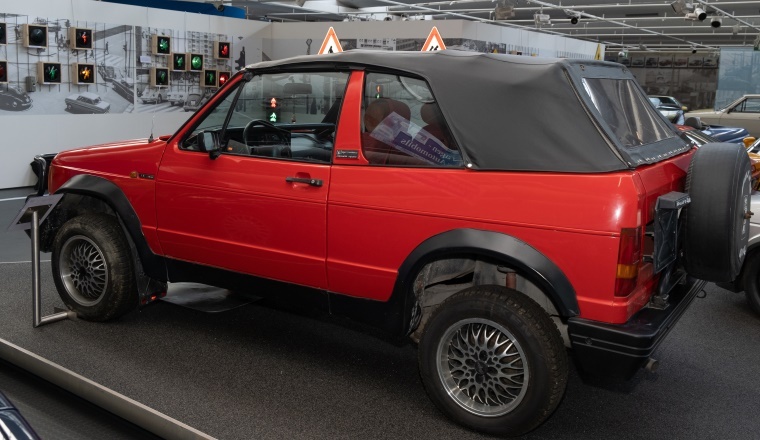 This convertible SUV was a forerunner of the T-Cross convertible which is due to start production in Osnabrück soon. The Passo is a cross between a Golf Country and a Golf Cabriolet, enhanced with some external parts – for example from Fiat (headlights, turn signals) and Opel (tail lights). The drive train (1.8 litre with 98 PS) and platform are completely manufactured by Volkswagen. 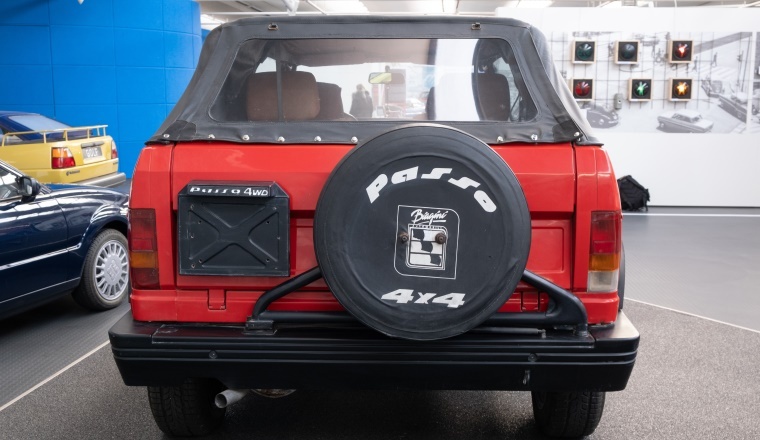 Less than 100 units of this rare car were built by the Italian manufacturer ACM between 1990 and 1993. Only very few have survived the rust. One of them belongs to Berliner Guido Elsing, who has loaned his 1991 gem to the AutoMuseum. 28 February 2019. 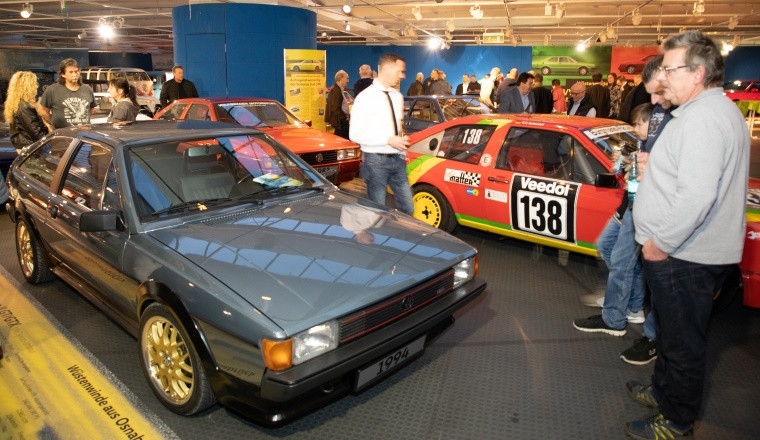 The AutoMuseum Volkswagen opened its doors to the first major exhibition of the year and the sizeable fan base of the Scirocco and Corrado turned up in their droves. 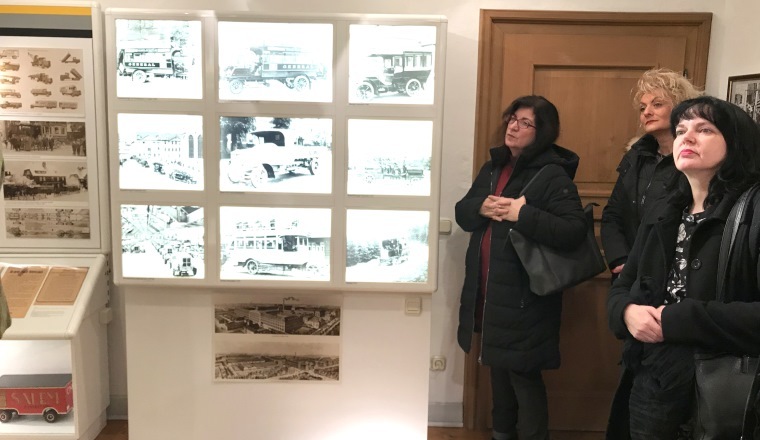 This exhibition also features exhibits from private lenders who enjoyed the chance to attend the opening. 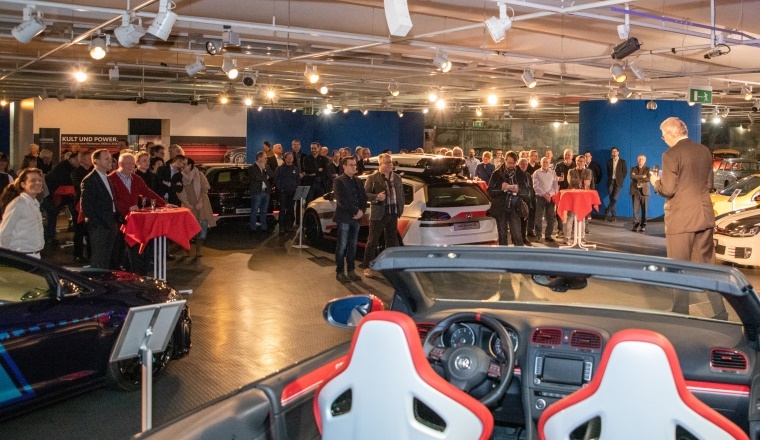 In an interview with Susanne Wiersch they had plenty to tell the 100 guests about their classics, from the painstaking search for the exact number of Sciwagos manufactured, or the spontaneous purchase of a beaten-up racing Scirocco and the challenge of rebuilding it. The audience showed their appreciation through attentive listening and plenty of applause. 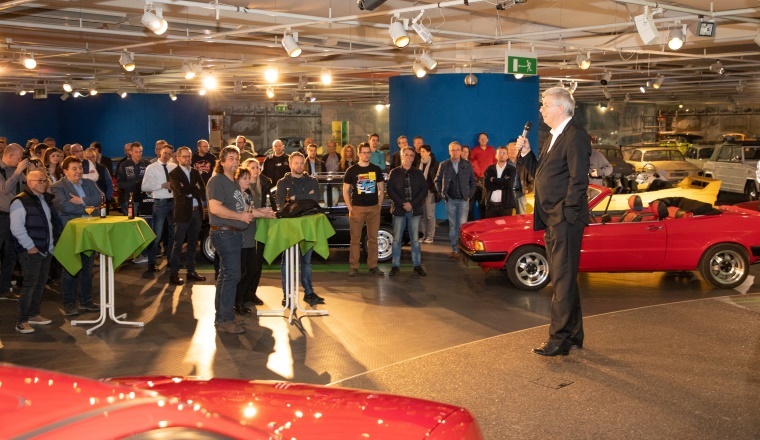 Prior to that, Eberhard Kittler gave a talk on the history of Volkswagen’s sporty coupés and explained the concept, which focuses primarily on one-off vehicles and conversions. 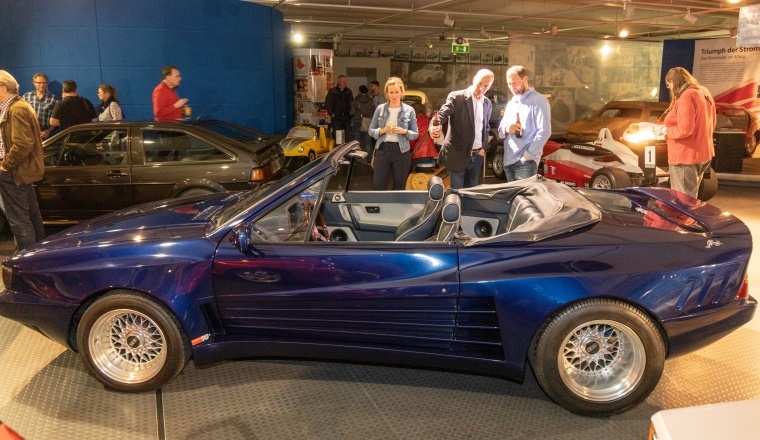 His talk was very well received, as enthusiasts do not often get the chance to view a Corrado Magnum or the IROC. 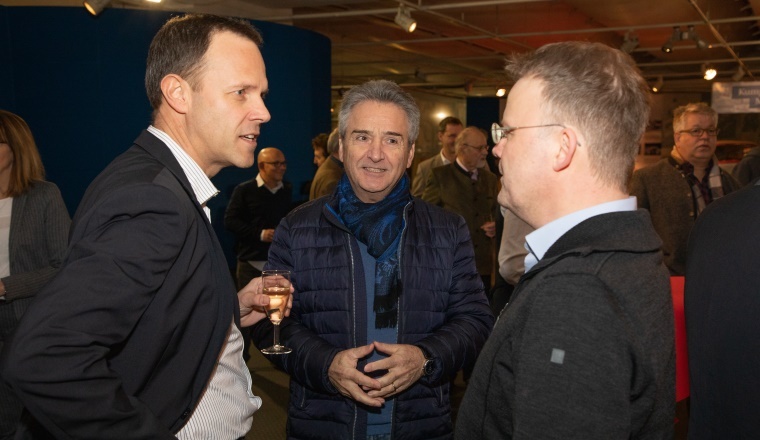 The evening concluded with guests “talking shop” in a casual atmosphere. 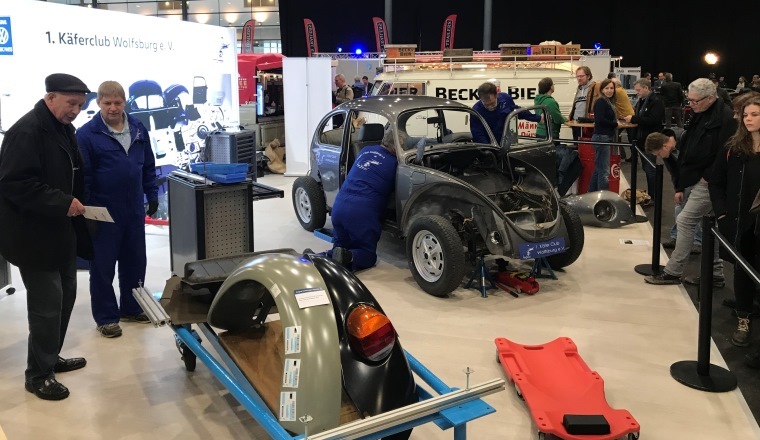 Anniversary Beetle from the AutoMuseum boosts Käferclub Wolfsburg at the Bremen Classic Show. 1 to 3 February 2019. 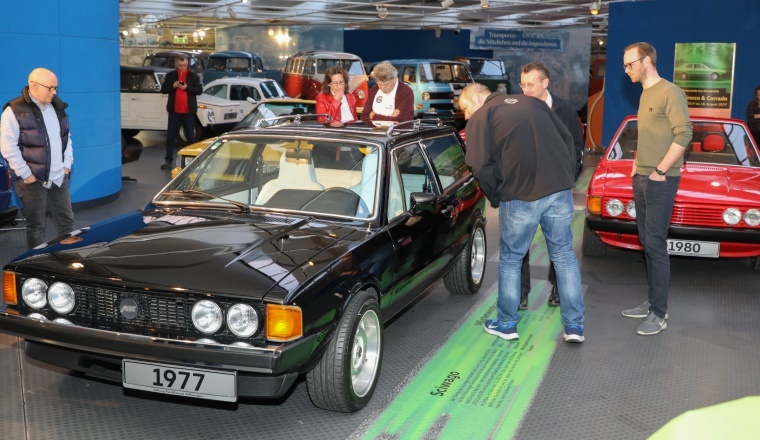 With more exhibitors, more displays and more visitors – the Bremen Classic Motorshow has blossomed into the first must-see event of the year. 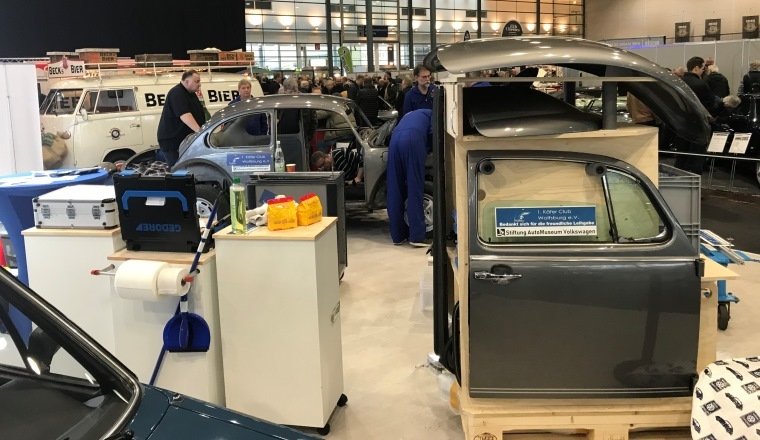 Volkswagen Commercial Vehicles Oldtimer, Volkswagen Classic Parts and Volkswagen Classic and Audi Tradition occupied the central area in Hall 5. 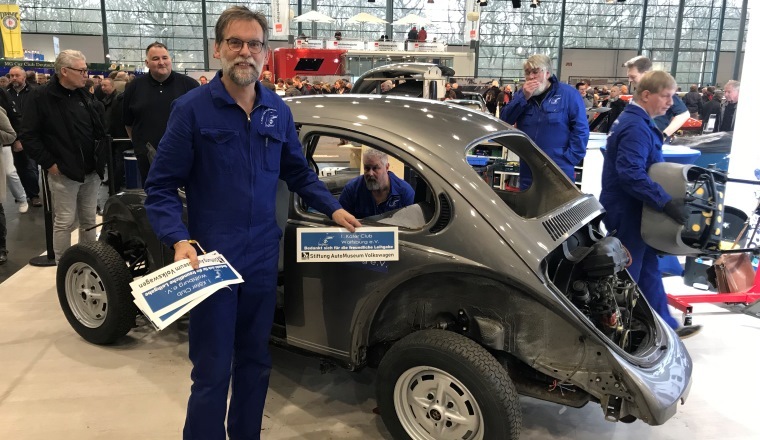 The dismantling and subsequent reconstruction of an anniversary-model Beetle by active members of the 1st Wolfsburg Beetle Club was a well-attended attraction. 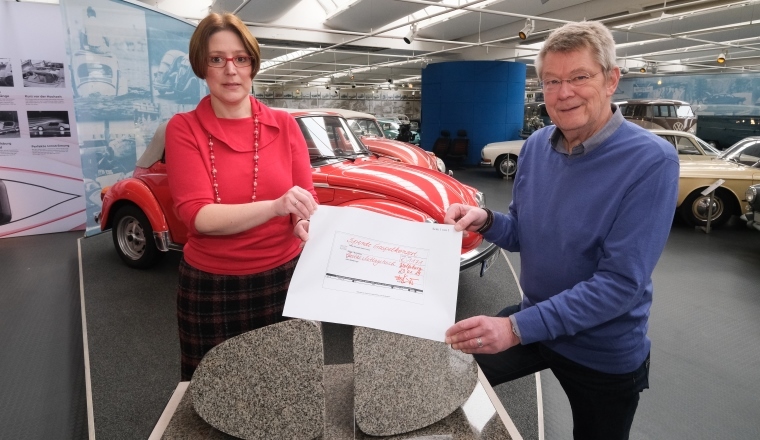 The vehicle built in 1985 comes from the AutoMuseum’s collection and obviously enjoyed its trip up north. 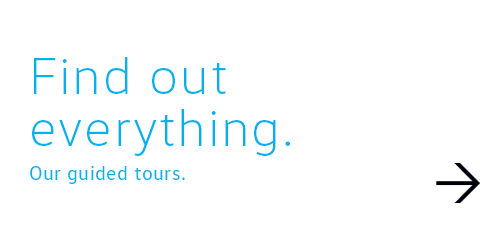 When it returns it will be used to advertise the museum. 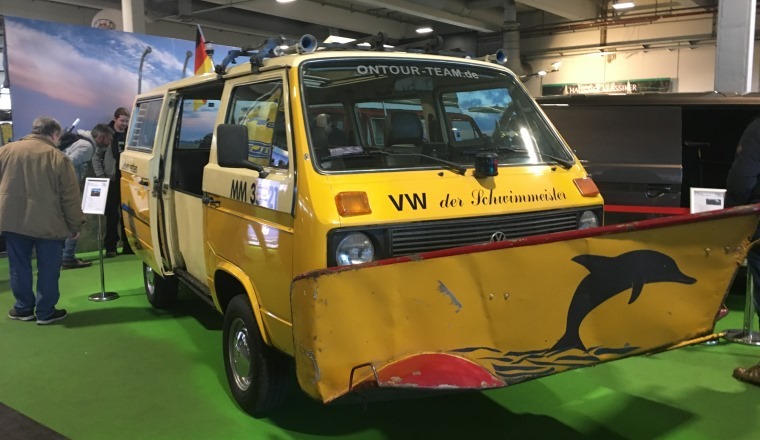 Other exhibitors had some eye-catching vehicles with them too, including the prototype of the amphibious T3 Schwimmwagen. 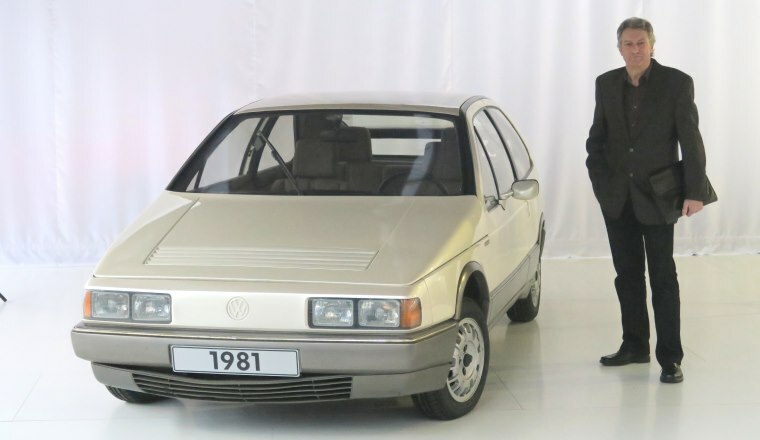 Designer of the Scirocco 2 dies. 29 January 2019. 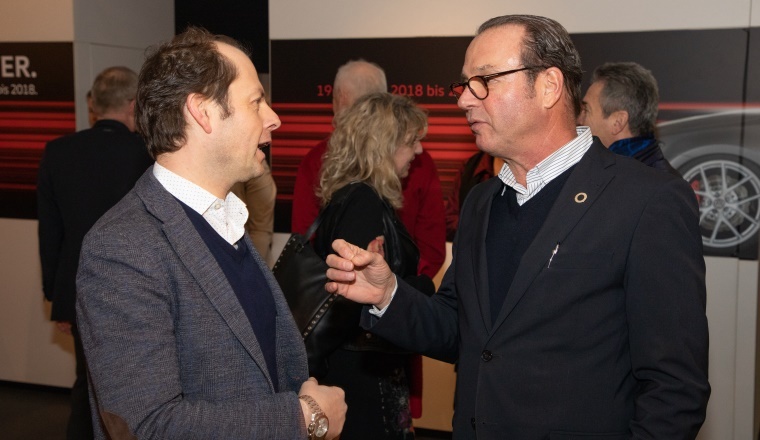 Luca Rezzonico, a designer from Italian-speaking Switzerland, was one of the outstanding young Volkswagen designers during the era of Herbert Schäfer. 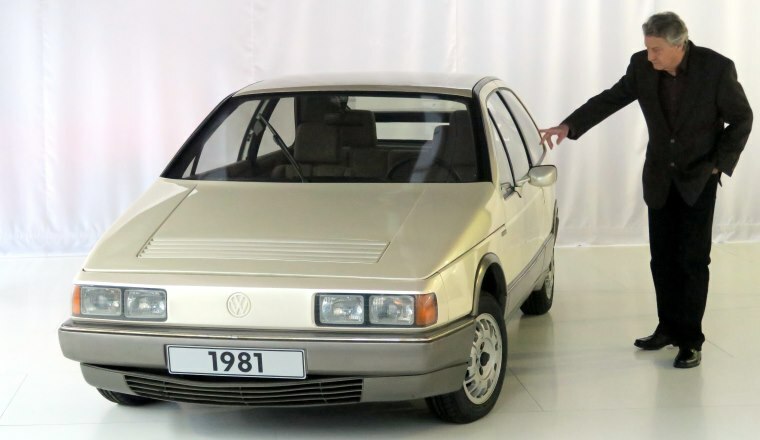 He played a key role in the Auto 2000 and the Scirocco 2, and was also responsible for the 1992 Vario – all idiosyncratic vehicles that have found their place in the AutoMuseum. 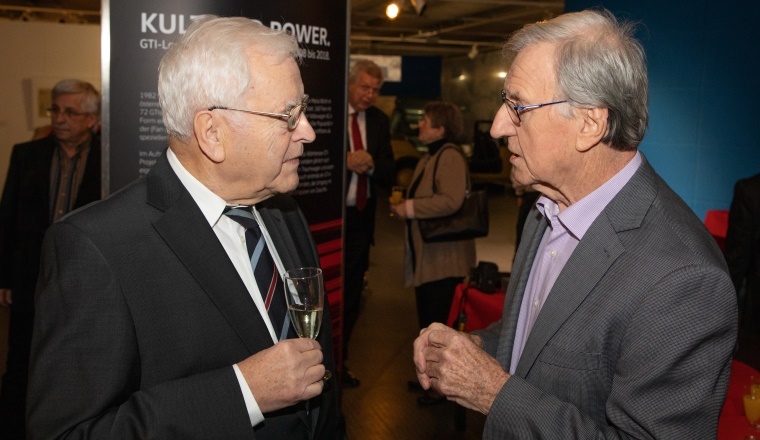 He was a good friend and advisor to our company – he named the “Engine Cabinet”, which now houses some 200 exhibits from the museum’s comprehensive collection of engine and gearboxes. The ever-popular Luca, a keen musician, was taken too soon aged just 69. 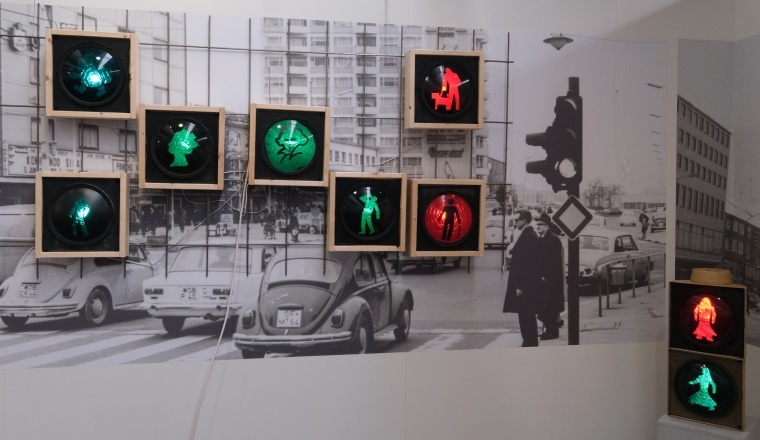 Special exhibition of traffic light figures opens. 24 January 2019. 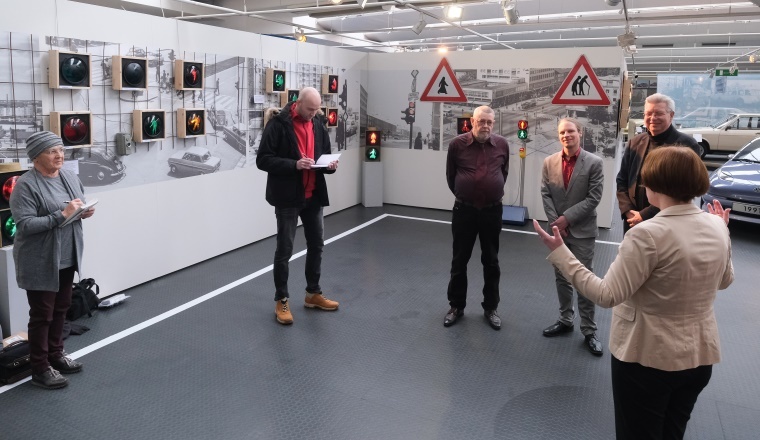 After Volker Höinghaus from the civic museum in Gütersloh and the Bielefeld-based collector Frank Föste had spent around a day and a half installing some 80 traffic lights with the most diverse international figures in red and green in the AutoMuseum Volkswagen, it was time for the special exhibition “It does not get greener than this.” to open. 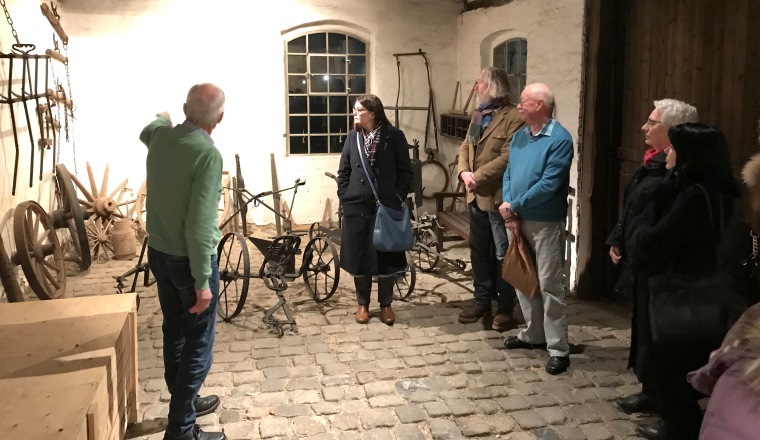 The representatives of the local press were visibly impressed by the variety of light figures, and everyone found their own personal favourite. 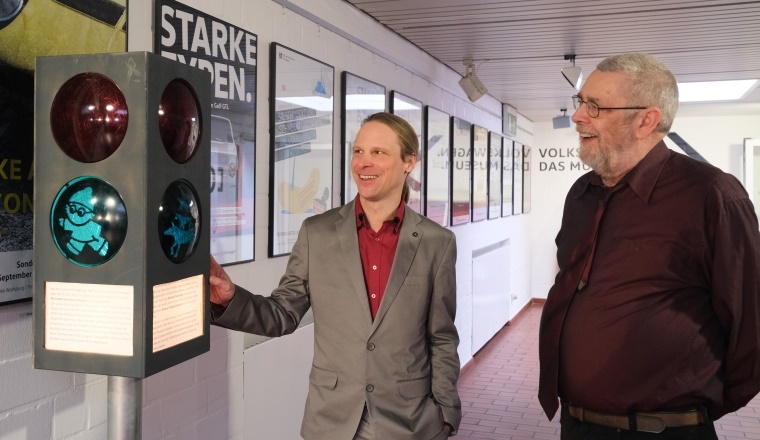 Dr Franz Jungbluth, director of the civic museum in Gütersloh (stadtmuseum-guetersloh.de), is a true fan of “Äffle und Pferdle”, two cult figures featured on Südwestfunk radio from his childhood. 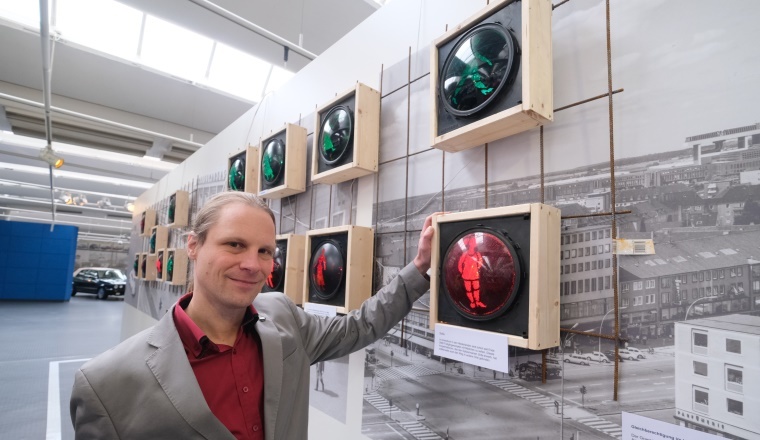 The show ran very successfully in his museum from late 2017 until early 2018, which gave him the idea of sending the traffic light figures on tour. 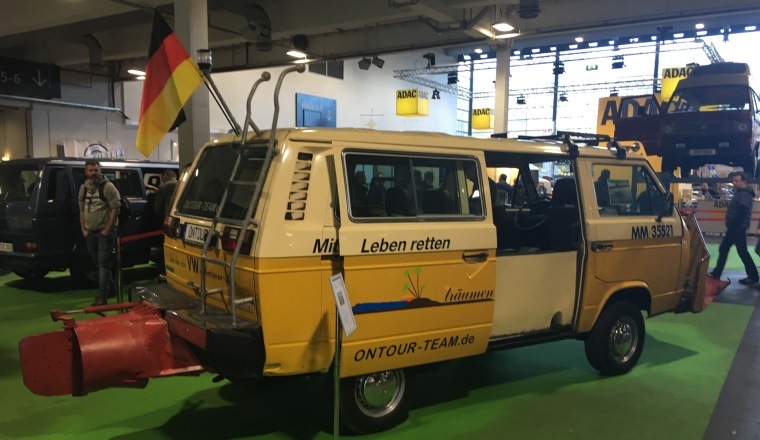 Their first stop is the AutoMuseum Volkswagen, whose visitors can look forward to other cult figures such as Mary Poppins, the Town Musicians of Bremen, the Olsen Gang and the Mainzel Men. It is very rare to see these figures when on the roads as they are not officially allowed. 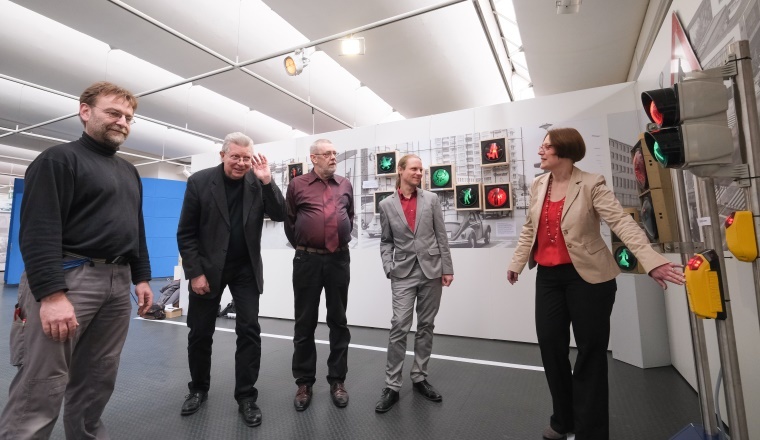 Employees of the AutoMuseum visit the Heinrich-Büssing-Haus. 23 January 2019. Heinrich Büssing is a household name for anyone with a passing interest in trucks and buses. What is less well known is that Büssing was born in 1843 in Nordsteimke near Wolfsburg. His birthplace, which contains a former smithy, is still there today and has been run by MAN as a museum for several decades (nordsteimke.de/buessing.htm). 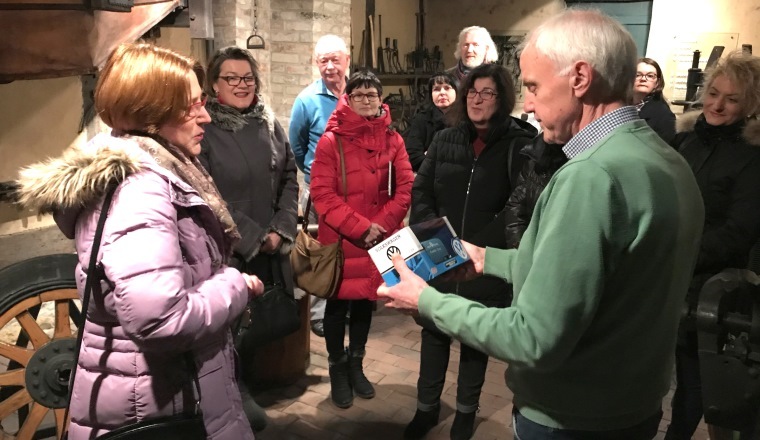 The employees of the AutoMuseum Volkswagen visited Büssing’s birthplace and received an expert and lively guide to the life and work of the ingenious inventor from Hans-Werner Griesemann. 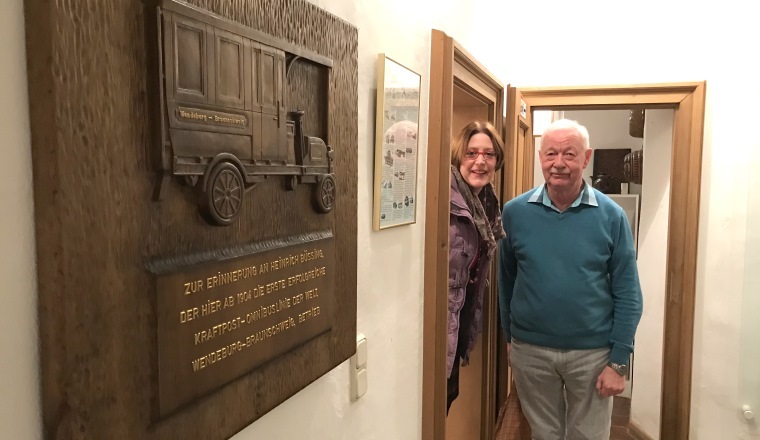 After many years of developing signalling technology for Siemens Technik, Büssing set up his own business at the age of 60 and successfully founded his truck and Bulli smithy. The vehicles were also in demand for use as double-decker buses in England until the First World War. 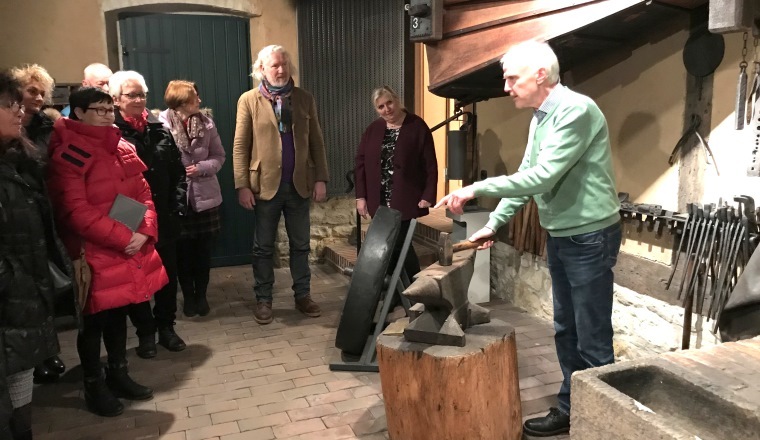 Griesemann, whose grandparents and parents operated the smithy in the Büssinghaus, was delighted to show the team around the rooms and used the exhibits to show how work was carried out there. One particularly striking piece of equipment is the “Kutschwagenradnabenzentriermaschine” (coach wheel hub centring machine) donated by the Graf von der Schulenburg. Donation from gospel concert handed over. 23 January 2019. 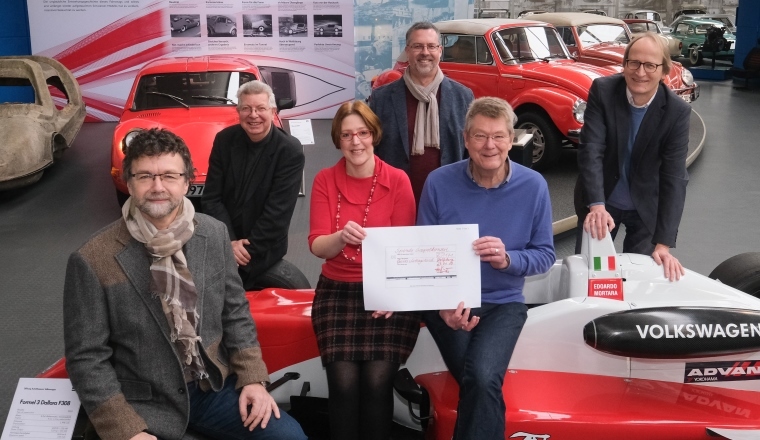 The second gospel concert in the AutoMuseum Volkswagen was a great success, thanks to provost Ulrich Lincoln, pastor Thomas Hoffmann and community representative Markus Galonska who gave thoughtful sermons, and of course the rousing songs of the gospel choir from the Protestant church in Vorsfelde. 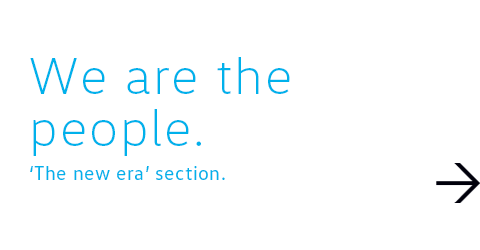 This was also reflected in the public donations. 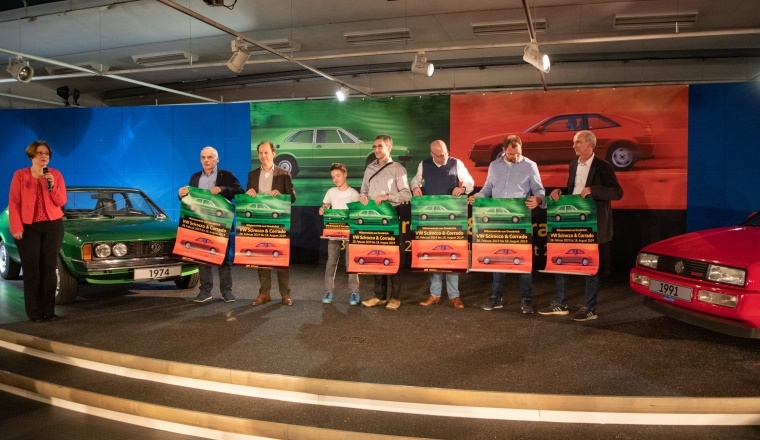 The grand total of €1,171 was officially presented to Rüdiger Schingale from the Caritas Mittagstisch charity in Wolfsburg. Caritas Mittagstisch supports volunteers who cannot afford a hot meal every day. Schingale was delighted with the financial donation. 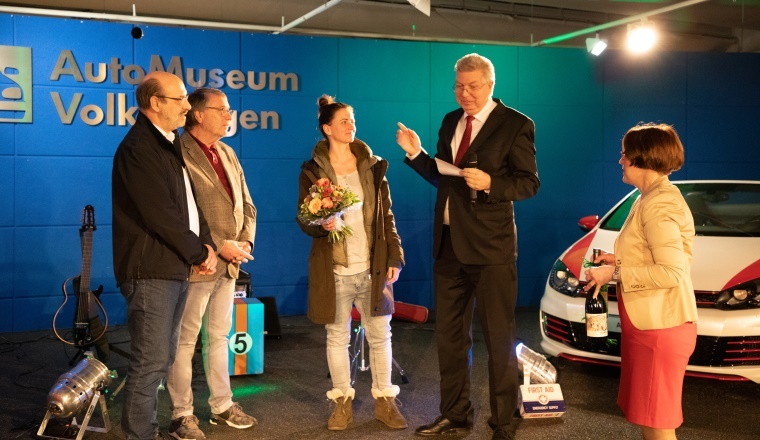 The church representatives and employees of the AutoMuseum thanked the visitors very much for their donations. The AutoMuseum is hoping to host another gospel concert next year. Full house for traditional New Year’s reception. 15 January 2019. 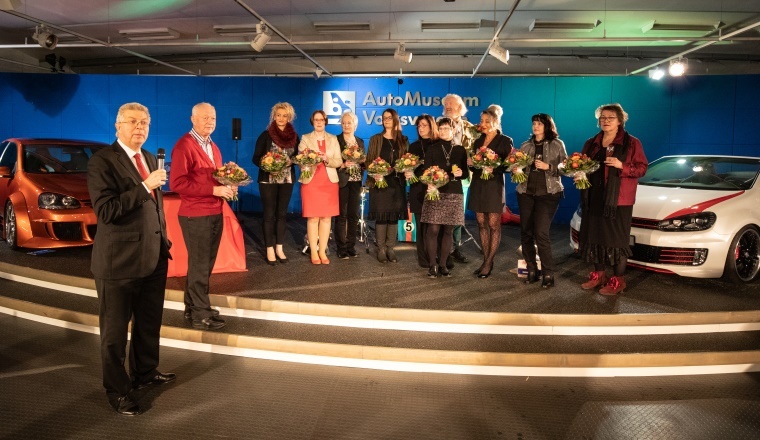 Some 100 friends and supporters of the AutoMuseum accepted the invitation to the traditional New Year’s reception. 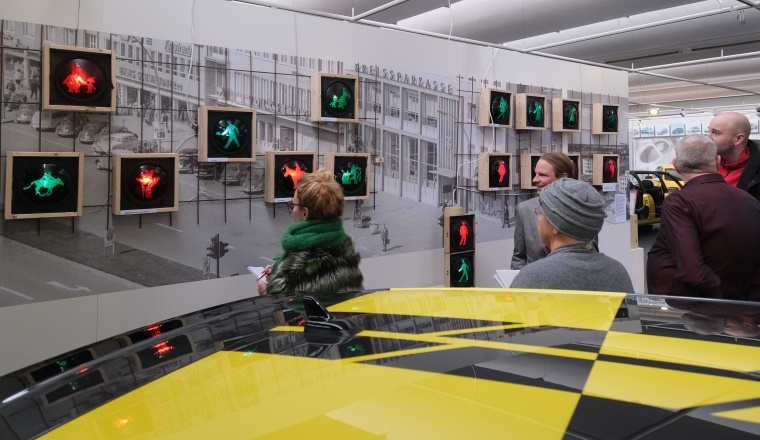 By way of introduction, Raughi Ebert played impressive sound collages – he also composed the art works of the MobilArt art exhibition “Car Design meets Music”. 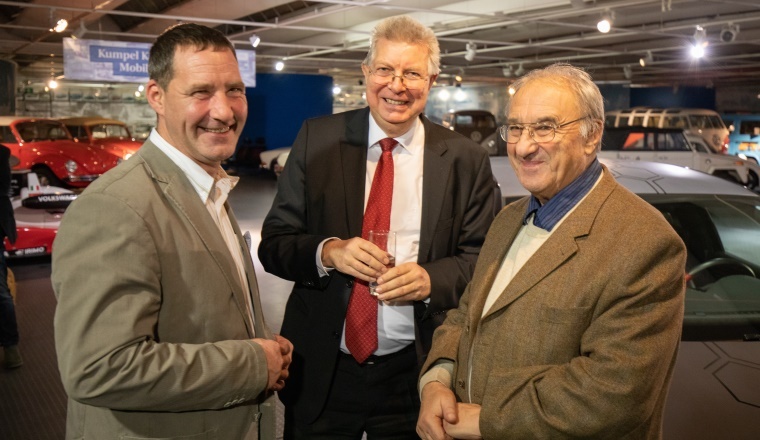 Member of the Board of Management Eberhard Kittler toasted the visitors with a tiny cup from the boot of a 1: 4 Beetle model, which was donated to the AutoMuseum last year. 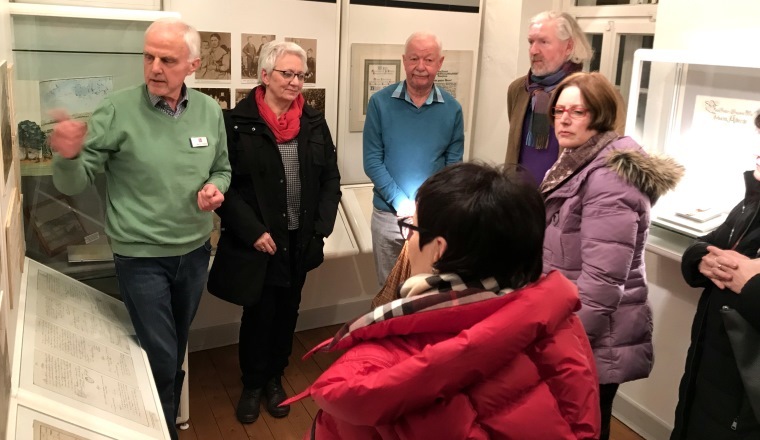 In addition to the numerous activities of the past year and the planned dates for 2019, special mention was made of the museum’s circle of friends who lend considerable support to the museum. 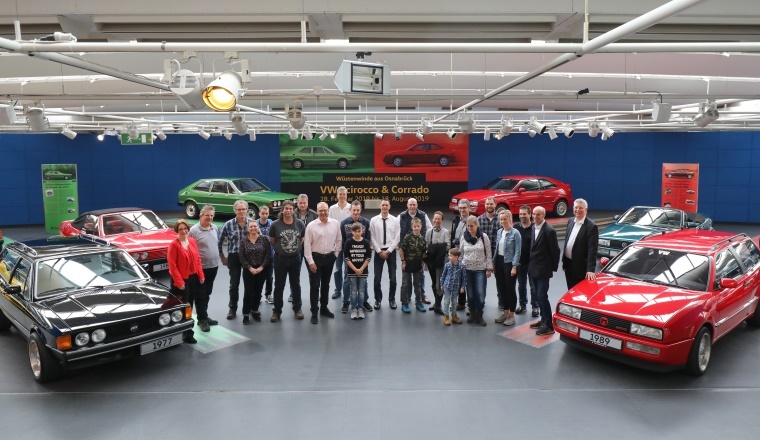 Grateful thanks was also given to the range of cooperation partners – above all Volkswagen Classic, Volkswagen Commercial Vehicles Oldtimer and the Autostadt – and of course the team at the museum, which is dedicated to getting the museum’s activities up and running. Look forward to our company’s next eye-catching performances – for example the Scirocco special exhibition starting in March.